The perfect tote bag for running errands or a day on the town! These canvas totes are perfect for running errands and grocery shopping because you don’t have to worry about them ripping or breaking. 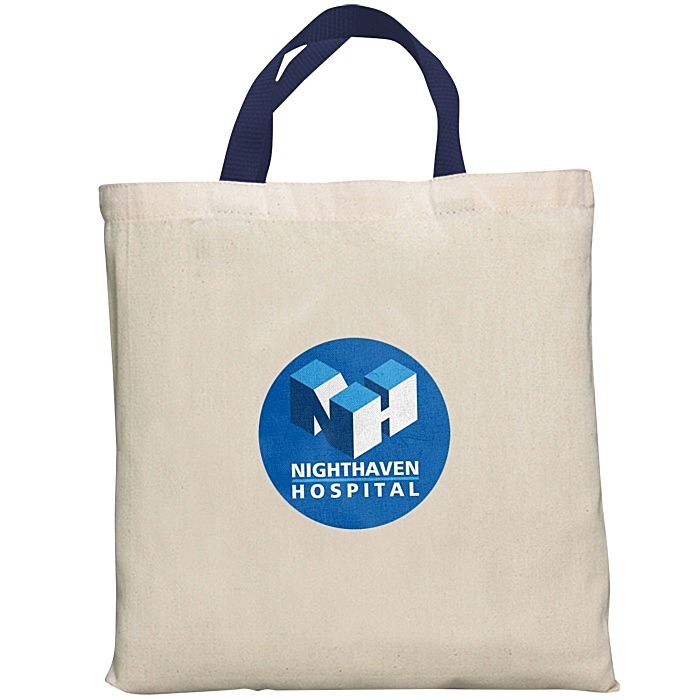 Pack up this versatile imprinted tote for your next trade show event or convention! Colored polypropylene web handles measure 12-1/2" long. 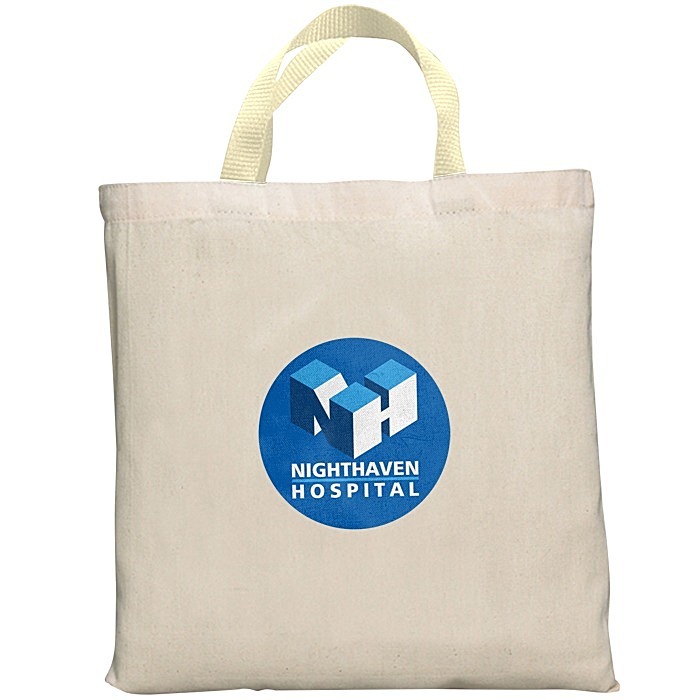 If you only need a one-color imprint, see item #6252-NEconomy Tote Bag - Medium - Natural. For the Economy Tote Bag in your choice of vibrant colors, see item #similar item search 6252-C.